Scooper - Technology News: Should countries have a 'minister of future'? Should countries have a 'minister of future'? 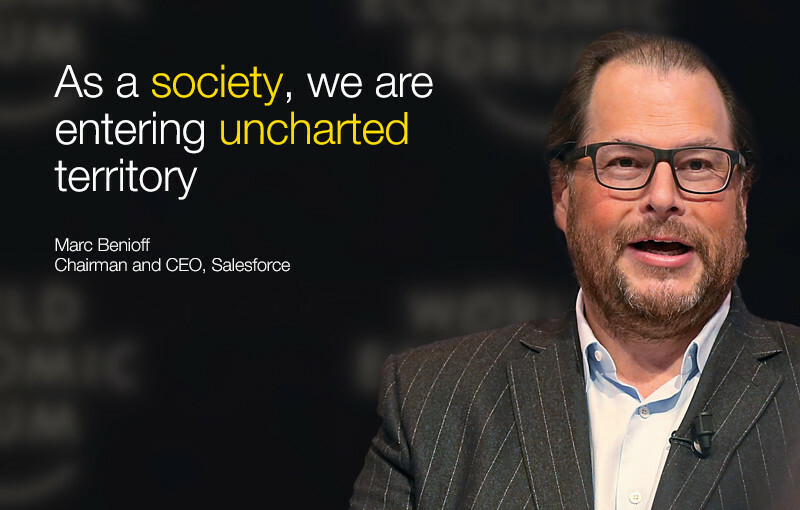 At this year’s World Economic Forum at Davos, Marc Benioff, founder and CEO of American cloud computing firm, SalesForce, argued that every country should have a minister of future. To help prepare, Sweden already has a minister of future issues, strategy and cooperation, with a mandate to think about the very long term, and the Scandinavian nation’s place in that future. Korea isn’t far behind either, with its ministry of science, ICT and future planning.Many other countries have similar bodies. With the world’s eyes firmly set on India, how are we as a country preparing for the future? If the current political and governance structure is anything to go by, then we are only preparing for the immediate future, not the long term. What connects the past, the present and the future is technology, its evolution and its impact. Unlike the previous technology waves , this one is here to stay. Devices are getting cheaper even as their computing capacities expand. Coupled with cheap internet access, this is proving to be transformative, and not merely evolutionary. This realisation is taking centrestage in nations such as India as they embark on an accelerated development path. For example, it is predicted that in the next 15 years, India will have more people coming online than any other nation. The social, economic, cultural and demographic impact of these technological advances also need equal attention. So far, the approach has been short-sighted, confronting only current problems, with no particular lookout for the future. To remain relevant in the global order, we need to build our military industrial complex since that’s the epicentre of any innovation ecosystem. The US government, via the military and DARPA (Defense Advanced Research Projects Agency) under the department of defense, was responsible for developing many of the fundamental technologies we commonly use today: the internet, the technology behind Apple’s Siri, and the GPS, to cite a few. India’s equivalent, the Defence Research and Development Organisation (DRDO), the primary R&D wing of our army, is yet to see any of its projects become mainstream commercial products. Merely increasing the research and development (R&D) budget of DRDO will not suffice. Most breakthrough technologies are imported into India. Thus the culture of innovation itself is stunted. Notwithstanding the unicorn status, many successful Indian startups are me-too clones of their western counterparts. The ecosystem and regulation are both nascent, leaving genuine Indian innovators struggling. Many of them are successful because they moved out of India. The Narendra Modi government leveraged modern technologies to get elected. It also recognised the power of the new economy to create jobs and spread prosperity. Already, the Modi administration has rolled out some promising schemes—Make In India, Digital India, Skill India and Startup India. These, if successfully implemented, can make India a global innovation hub. However, they address only current problems. For instance, India does not have fully evolved policies around crowdfunding, bitcoins or online pharmacies. Yet, these business models (the online sale of medicines) or underlying technologies (blockchain, in the case of bitcoin) are proliferating rapidly. In a hyper-competitive world, no nation can afford to play ostrich, ban new concepts or look away. So, what can India do? This can be achieved by either setting up a new body or incorporating this into an existing one. The NITI Aayog can take centre stage, but the prime minister’s office needs to play an important role. Modi is technology-savvy and perhaps understands the need for this, but without building consensus with multiple stakeholders, an idea like this will never fly. Such an initiative needs to involve multiple disciplines (technology, law, economics, etc.) and stakeholders (from within the government and outside, from within India and elsewhere). It needs to create a bridge across various ministries who often end up working in silos. The world is at the tipping point of the fourth industrial revolution. Now is the time to think about future-proofing India.